Diamond engagement ring features a natural yellow diamond, in a four claw setting with upswept shoulders containing small yellow round brilliant cut diamonds in beaded settings. 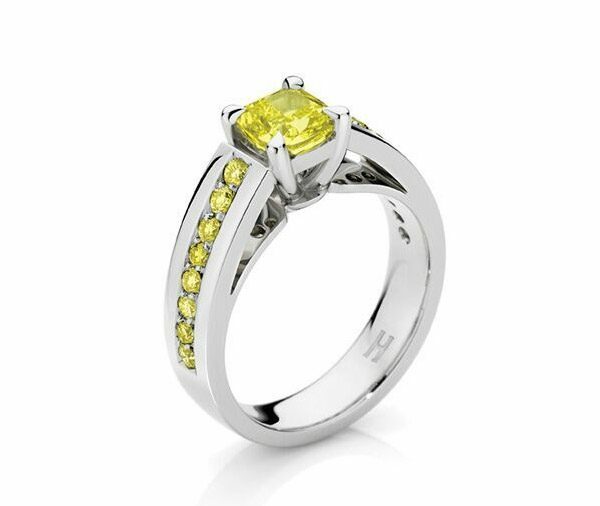 Model image features centre 1.00ct modified square brilliant cut natural yellow diamond. Available in platinum, 18ct white, yellow or rose gold or any other precious metal combination.